Blackstairs Mountain is a prominent hill on the main ridgeline separating Carlow from Wexford. 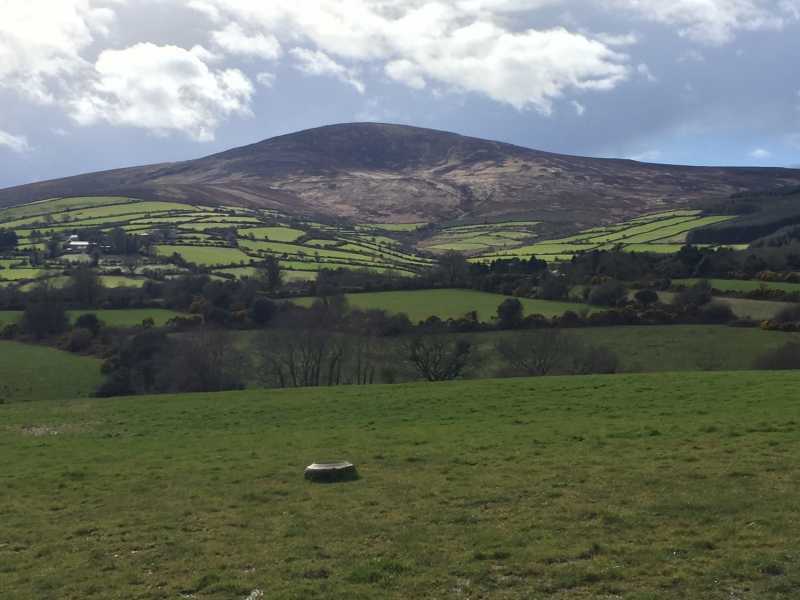 The hill’s prominence means views are good in all directions, mostly over flatlands, but dominated by the mast-arrayed peak of Mount Leinster to the north. Blackstairs is a hill-walker friendly region and there are a number of approaches marked locally. Perhaps the most straight-forward ascent is from the Scullogue Gap, parking at S81378 47884 A. There is a well-worn track from here which can be quite wet. About 2 to 2.5 hours. Another approach is from the south-east, at the start of a forest track at S 809 410 B. Follow the track up to the col between Carrigalachan and Caher Roe’s Den and head north along the ridge from here. A further approach, recommended by Joss Lynam, is to park at S 7924 4508 C, head east onto the right, then north to the top. The entire ridge can be traversed also, starting from around S75817 35576 D, taking in Bran Scultair, Carrigroe and Carrigalachan, before reaching Blackstairs Mountain itself and then descending to the Scullogue Gap, with the option of extending further to Mount Leinster and coming off the ridge at the Nine Stones (S81643 54638 E). The entire traverse would be in excess of 8 hours.